The Horizon 2020 FORBIO project assesses the viability of using EU underutilised lands for sustainable bioenergy feedstock production whithout affecting food and feed supply. Biomass for bioenergy is often seen as a competitor for land uses. However, underutilised land (contaminated, abandoned, marginal, fallow land etc.) which is not or cannot be used for food/feed production and for recreational or conservation purposes may represent an attractive alternative for sustainable biomass production in Europe. The FORBIO project demonstrated the viability of this concept through its different activities. First, agronomic and techno-economic potentials of selected advanced bioenergy value chains in some case study sites (Italy, Germany and Ukraine) were evaluated. The environmental, social and economic sustainability of the selected value chains were then assessed. In parallel, the economic and non-economic barriers to the market uptake of the selected sustainable bioenergy technologies were analysed and strategies to remove the aforementioned barriers, including identification of roles and responsibilities of relevant stakeholders were developed. A series of information days and capacity building events were organised in the target countries and in some outreach countries in order to encourage the setting up of sustainable local bioenergy supply chains. In Italy, the case study area is located in the Sulcis region in Sardinia, one of the most contaminated areas of the country with heavy metals from industrial activities. An assessment of various lignocellulosic energy crops for bioethanol production in a biorefinery concept has been done in this case study. It was based on results from scientific studies and field trials. The most promising energy crop appeared to be Arundo donax (Giant reed). Based on a hypothetical plant capacity of 40,000 ton yr-1 and a mean biomass productivity of 25 ton DM ha-1 yr-1 of irrigated Arundo donax for bioethanol production, 7,200 ha of underutilised land within 40 km from the plant would be needed. Given this data, the techno-economic assessment showed a biomass production total cost of 61-71 € ton DM yr-1 (plant gate). The sustainability assessment showed positive impacts for the environmental and social indicators (e.g. 64% reduction of GHG, reduction of pollutants in bodies of water, 800 – 1,350 direct job generation). From an economic point of view, there are great productivity performances, but feasibility depend on ethanol market prices. Ukraine location near Kyiv oblast. In Ukraine, the case study area is located in Kyiv oblast, Ivankiv region. The underutilised lands consists of abandoned agricultural land or low productive land. 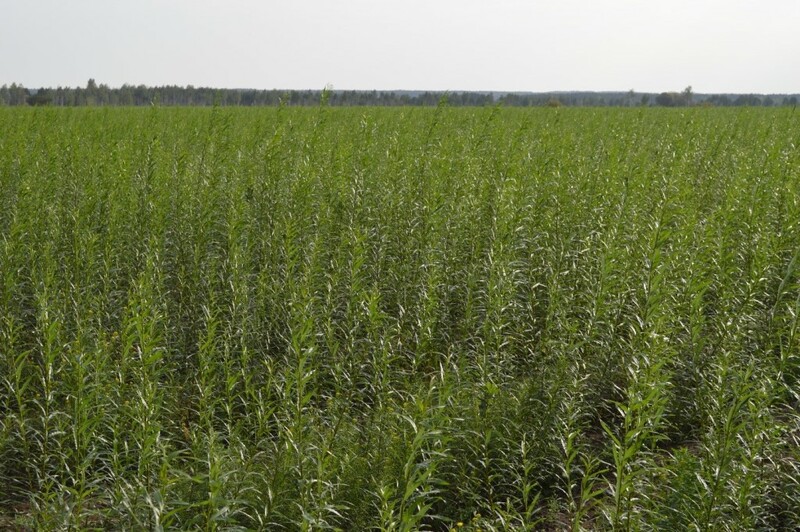 Within the same concept as for the Italian case, the agronomic assessment revealed that Salix viminalis L. is the most promising feedstock for bioethanol production and based on a hypothetical plant capacity of 40,000 ton yr-1 and a mean biomass productivity of 10 ton DM ha-1 yr-1 of Salix viminalis L., 21,350 ha of underutilised land within 50 km from the plant is needed. Accordingly, the techno-economic assessment showed a biomass production total cost of 28.7 € ton DM yr-1 (plant gate). As for the sustainability assessment, positive impacts for the environmental and social indicators were revealed (57% GHG reduction, increase of SOM, employment rates would increase by 0.78%). From an economic perspective, production costs are low and favourable incentive schemes make advanced bioethanol production in Ukraine economically sustainable, provided that incentives are maintained over the long term. In Germany, two case study areas were selected. 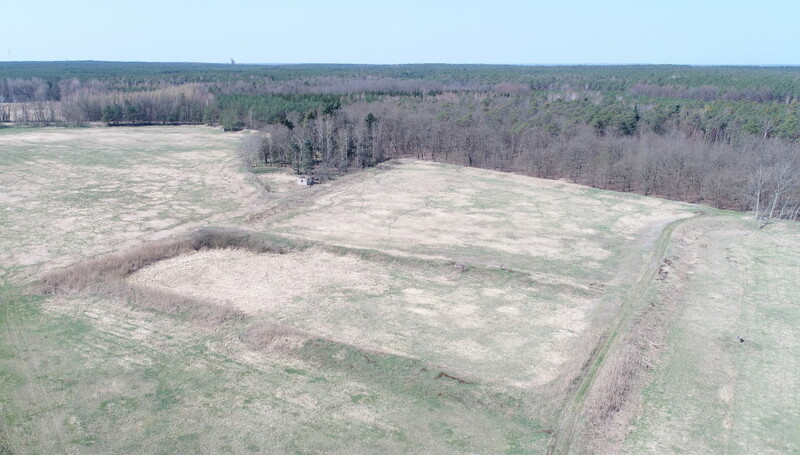 The first one is located in the Metropolis region of Berlin and Brandenburg where sewage irrigation fields are considered as a relevant land reserve for energy cropping. The second one Lusatian Lignite District with its widespread agricultural reclamation sites. In the first case study, the assessment showed that Miscanthus x giganteus is the most promising for wood chips production for heat/electricity with a production cost between 38 and 52 € ton DM yr-1 (plant gate) assuming a mean biomass productivity of 15 ton DM ha-1 yr-1 as of the third year and 1,140 ha of land are available within 4-20 km radius to the next biomass power plant. In the second case study, the assessment showed that a crop rotation scenario of Sorghum bicolor/Sudanese and Medicago sativa (lucerne) for biogas production is the most promising. Given that the mean biomass productivity of lucerne and sorghum is 5 and 10 ton DM ha-1 yr-1 respectively, the land needed is 6,079 ha within a radius of 8-48 km. The biomass production costs are 107 and 75 € ton DM yr-1 (plant gate) for lucerne and sorghum respectively. In the first case study, the sustainability assessment was conducted for the value chain considering grass as a feedstock for a biorefinery concept to produce chemicals and biogas in the purpose of looking into a more innovative value chain than woodchips. For both cases, environmental and social impacts were neutral to positive. As for the economic aspects, biogas production cannot be considered feasible as the costs of production are high compared to natural gas. For the grass concept, the revenue from the chemicals was not taken into consideration. In order to further promote the concept of growing feedstock on underutilised land for sustainable bioenergy production, to help stakeholders identify these lands, assess the most promising feedstock and the sustainability of a chosen value chain, a web-based platform will be developed within the new BIOPLAT-EU project. All reports on the agronomic, techno-economic and sustainability assessments in the three target countries in addition to all project reports are available on the FORBIO website. This project has received funding from the European Union’s Horizon 2020 research and innovation programme under grant agreement No 691846. Text provided by Cosette Khawaja, Rainer Janssen1, Dominik Rutz1, Guido Bonati, Ömer Ceylan2, Marco Colangeli, Peter Gyuris, Dirk Knoche6, Raul Köhler, Michela Morese3, Giuseppe Pulighe4, Oleksandra Tryboi, Attila Uderszky2.